You have been a liturgy director for over 40 years. Yes, I began ministry as a layperson on the feast of the Assumption of Mary, August 15, 1974. What led you to study and serve the Church in liturgy? I grew up in the pre-Vatican II era, and I loved liturgy. I had been involved in music at church, ever since third grade, singing from the Latin hymnal often in three-part harmony. When the Second Vatican Council happened, I was in Junior High. The first English translations of the texts of the liturgy were exciting because we understood the readings and the prayers. I left home to study music at the College of St. Benedict and after graduation, I moved to the Twin Cities. I led liturgical music at a church where it was custom at the time to use popular music from the radio at Mass (which, by the way, was a misinterpretation of the enculturation guidelines from Rome that had encouraged the use of music from a particular culture). The priest hired me to implement his goal to help the folk ensemble to move away from using popular music texts, like “Blowin’ in the Wind” and “Leaving on a Jet Plane” to music with texts based on scripture and the texts of the liturgy. I read all the liturgical documents I could get hold of so I would know what I was talking about. I had fun reading all of these documents. It was exciting to learn about liturgy. The summer of 1976, I decided to test my intellectual ability to study liturgy on the graduate level at St. John’s University, Collegeville. Father Kevin Seasoltz, OSB taught the class, Liturgical Seasons. He was a remarkable teacher and every presentation was a work of art. I fell in love with liturgy. Convinced that I could manage the study, I signed up with St. Paul Seminary at the University of St. Thomas after that for their summer graduate program in theology. Since I lived in the Twin Cities, that location was more affordable for me. I came from humble beginnings. My dad was a plumber, who died when I was 13. My mom was a widow at age 45, so I never imagined that I would be able to afford a Bachelor’s degree and even a Masters Degree at that but when God calls, things happen! What are some of the positive changes you have seen in the church in general and in liturgy? Besides the translation of texts of our prayers in Mass was the Church’s encouragement to read the Bible. Prior to that, Catholics were taught not to read the Bible because the Church was afraid of fundamentalism and misinterpretation of the Bible. So after Vatican II people started reading the Bible and began recognizing texts of the liturgy taken from the Bible. It awakened the faith of the baptized! The other was the way we initiate through the sacraments. In 1978, I was a Liturgy Director in a parish when the provisional text of the RCIA was released. I read the introduction to the rite and the description of how to implement it. I realized that this was going to change the Church. I imagined the people who would be initiated as adults who would understand their faith in a way that would enrich those of us baptized as infants. The vision is to say, “Come to Mass with us! Get to know us. Listen to the Word of God, because then, God will create faith in your heart. Let us help you to know the Bible that will help you to know the liturgy. And practice God’s sense of justice as disciples in daily life.” The foundation of initiating is the Sunday liturgy, the main experience to understanding who we are as Catholics. This is why weekly participation in the Mass needs to be on the calendar of the inquirer and the catechumen – and every Catholic, of course. The changes in music were exciting and challenging as well. As a pastoral musician and liturgy director, I learned it was important to make the music roster eclectic. For me it has never been either/or: Either you’re a traditionalist or you’re progressive. 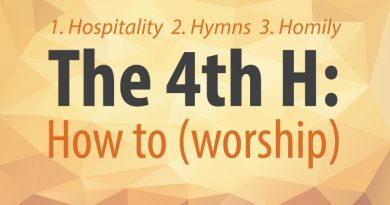 As a People of God, we are both and all in between and music in worship needs to reflect that. 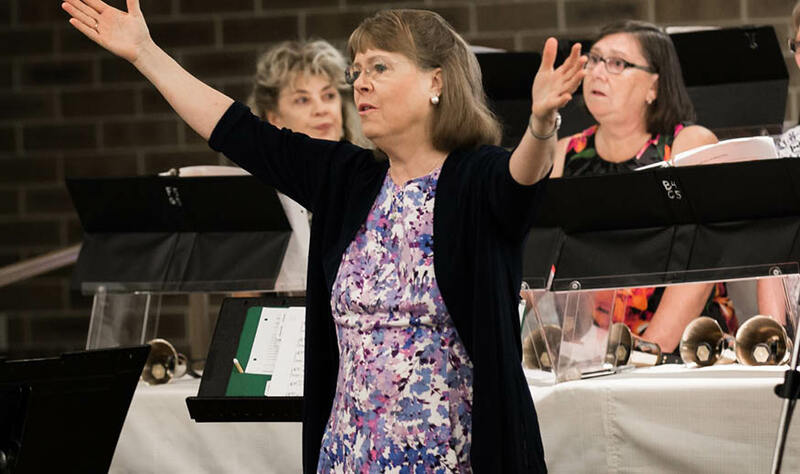 In my ministry, it has been a challenge to help people in choirs and other groups to embrace the spirit of discipleship as liturgical musicians. That was so hard at first because Catholic musicians before the Council saw themselves as performers with a passive “audience”, the faithful who were also passive in the liturgy. To complicate things further, musicians who insisted on the performance model would, at times, call themselves liturgists and quote the documents like fundamentalists. So, some bishops and priests felt bothered and challenged by this type of musician. These kinds of musicians and liturgy coordinators created a stereotype of a kind of liturgist to avoid. Is this why liturgists sometimes get a bad rap? Yes, I think so. When I began my ministry, I called myself a music minister. The Director of Worship in the Archdiocese of St. Paul/Minneapolis, at that time, was Father James Notebaart who referred to me as a liturgist. I also know that there were those who used the term who had not formally studied liturgy but began speaking out as though they did and challenged the priests about certain things in the liturgy. Those priests became bishops and began sharing their stories of struggles with “liturgists”. I believe that is how the term “liturgist” came to have a negative connotation. I planned to be different and to formally study the liturgy. There are differences between those who are well-formed pastoral liturgists, scholarly liturgists, and others who call themselves a liturgist but have never studied liturgy. I have always considered myself a pastoral liturgist and a student of liturgy. What is/are your favorite liturgy(ies) during the Church Year? Why? The Triduum. I worked in a parish where our weekly liturgy team had planned the Triduum as one long continuous liturgy, as it is intended to be. During the Eucharistic prayer on Holy Thursday, the presider was chanting the prayer, and it was as if time stopped, the church was golden, and looking around the church I found myself thinking, “these are the saints of today.” It was just a moment but I go back to it often, because it was as if I was seeing the church through the grace of God. On Good Friday, we would have Morning Prayer and Midday Prayer followed by the 3:30 liturgy for the reading of the Passion so we prayed all day. At the Vigil of Easter, I recalled lighting the candles and hearing the Exultet proclaimed in Latin as a child, but in the 1980’s we were singing it in English and people knew what it was all about and participated in it. We proclaimed all 9 readings, and the elect truly experienced the review of the story of salvation history as we celebrated. Then we had a homily and prayers of the faithful, we went home, but gathered again at sunrise for the baptisms, and first communions in the liturgy of the Eucharist. It is such a grace-filled liturgy. We leaders got tired but what a way to welcome the newly initiated into our church! What are some of your favorite liturgical spaces/churches? St. Elizabeth Ann Seton is a favorite for me, because of the focus on the active participation of the assembly. I studied church architecture with Fr. Notebaart and Fr. Seasoltz, who had both done extensive research on the purpose of church buildings. Fr. Seasoltz would always say, “The church building is the skin for the church. The skin needs to be simple, so that the church can be alive within it.” The first time I walked into St. Elizabeth Ann Seton, I thought of his words. In the Diocese of Winona, I liked St. Leo’s in Pipestone, MN. In it, the people and the action in the liturgy are the focus as in St. Elizabeth Ann Seton. What will you miss most about being a Liturgy Director? I will miss my role in the Archdiocesan liturgies. I enjoy working with the many liturgical musicians, Eucharistic Ministers, lectors, sacristans, and the clergy and then watching how people take on the spirituality of those ministries as they implement it in a major liturgy. In organizing all of these folks together, one is calling on the Body of Christ and this was always a great privilege to have that kind of interaction with Christ in our midst. Ultimately, everything happens rather automatically because everyone knows his or her role. The “doing” of liturgy tells a story that is so much beyond us and the Presence of Christ is so strong in those assemblies. I will miss helping with that. 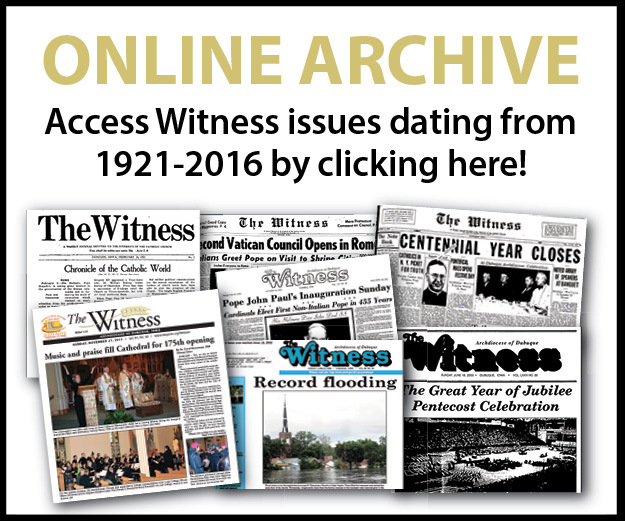 When I began ministry in a diocesan office, the big thing for me was knowing that when people contacted me and asked for “ideas” about the liturgy, my ministry would be to invite them to go to the documents and primary sources, review what the sources said about their issue, and read it with them. I will miss teaching people about the vision of the Church in liturgy. What are you most proud of in all your years working in the church? I am most proud of being the person behind the scene that sets up the structure so that the Church can express its faith well. So when one participates in a diocesan liturgy and you hear people singing well and see them engaging in all the gestures of the liturgy, witness them sitting together in silence — just witness the Body of Christ in action — I’m most proud of setting up the structure so all of that can happen gracefully and prayerfully. And I also love it at the end of liturgy, when people are walking out of church, singing something we just sang. Then you know the texts we sing are in their hearts. What are your hopes for the Archdiocese of Dubuque in the future? For the Church? When I started here, the very first thing I had to do was to go out and meet with musicians, deacons and priests about the revised edition of the Roman Missal. I remember going to Decorah. There were mostly musicians at this gathering and I looked around the room and saw all the grey hair. I asked how many people had been serving the church at least 5 years or more, and a few people raised their hands. Then I asked about 10 years, 20 years and 50 years or more and still a few hands went up. I invited all to celebrate the years of ministry these people have been giving the Church and we clapped for them. Many had tears in their eyes and mentioned that no one had ever thanked them for their dedication. At the end of the session that day, I asked them to look to the future. Current liturgical musicians are the foundation and now we need to recruit the next generation of liturgical musicians. We all need to be the “coach” on site in the parish. So, my hope for the Archdiocese of Dubuque is that those involved in coordinating liturgy and doing liturgical music will continue to replace themselves as leaders and continue to invite young people to become lovers of the liturgy. I also hope that as a church, we continue to grow and work at the correct implementation of the RCIA and focus on the Sunday liturgy as the primary experience of formation in the faith. I hope that the Church of the Archdiocese of Dubuque continues its journey in the “full, conscious, and active participation” in the liturgy, so that everybody knows how important they are as they are formed into the Body and Christ. I hope the local Church will be liturgically focused, knowing that the Body of Christ is here and this is who we need to be for the world. What will you be doing in your retirement? Will you be involved in music or ministry? I hope to continue to be involved at my new parish in Rapid City, SD. I hope to “blend in” as much as I can however, the Vicar General in the diocese of Rapid City, has already heard that I’m moving out there and has asked me to be in touch!